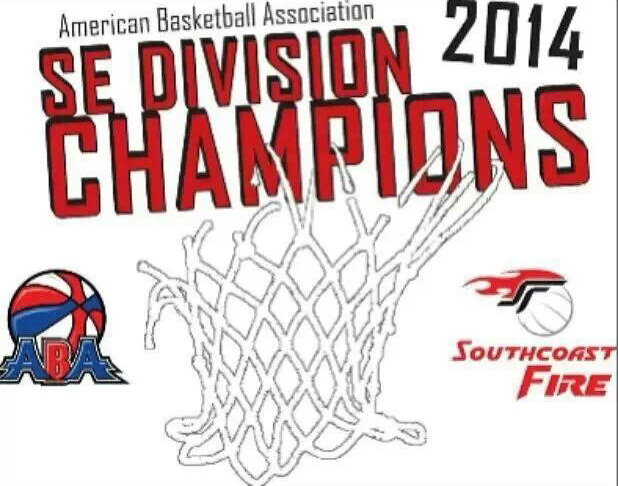 Edward "Doctor Bench" Dudley-Robey, was named Assistant Coach for Player Development for the ABA Southcoast Fire by legendary Head Coach Willie Ponds. Coach Ponds a former NBA and FIBA player who is a multi-time ABA coach of the year said "Doctor Bench is a former two time World Champion for Team USA in Powerlifting, United States Presidential Champion & former NBA Summer Pro League player. His knowledge of the game, strength and conditioning, injury prevention, winning background and teaching experience are an asset to the team." during his introduction to the players of their new Assistant Coach. "It is great to learn from one of the best in the business in Coach Ponds" said Doctor Bench. "This is a hungry young team, I hope to add to Coach Ponds tradition of winning. Expect that despite our being a new franchise that we will do great this year!" Update - the Southcoast Fire despite several last minute injuries to key players managed to advanced to the second round of the playoffs!!! 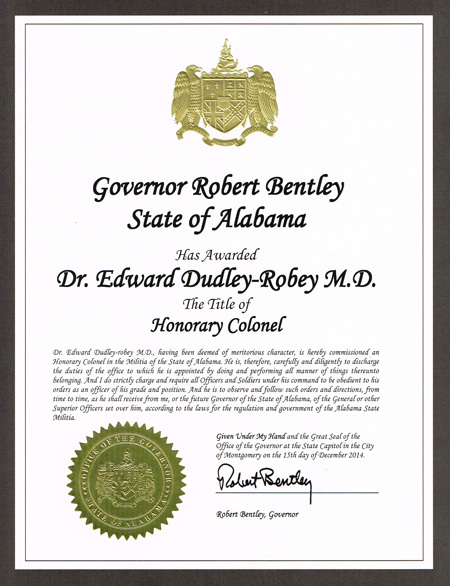 December 15th 2014 Edward G. Dudley-Robey, having been deemed of meritorious character, was commissioned an Honorary Colonel in the Militia of the state of Alabama by Governor Robert Bentley! 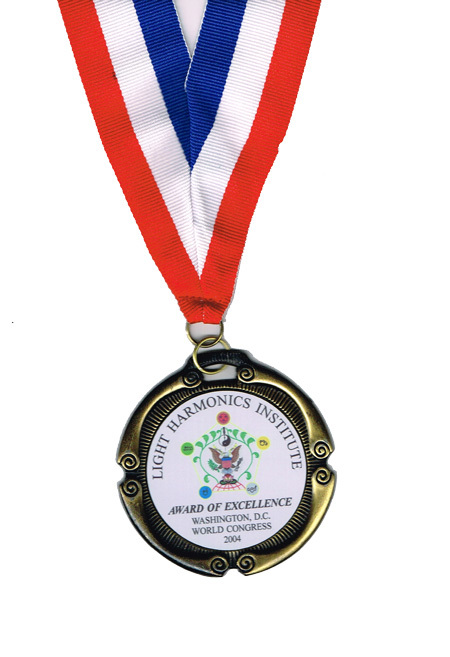 It is an honor to be presented the states highest award. Dec 8, 2013 - It's a Bakersfield tradition. For 30 years, the Toy Run has brought the biking community together to support needy families during the holidays. 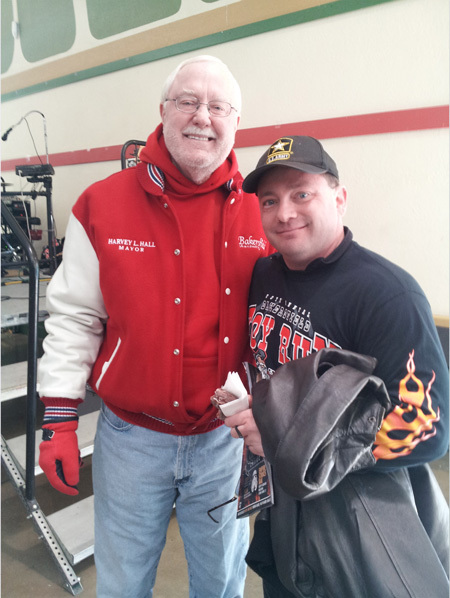 Bikers led the way from Beach Park to the Kern County Fairgrounds with toys, canned goods and cash donations onboard. "Everyday people can be heroes every day," said Edward G. Dudley-Robey, said at the event. "People here need help, and this is a chance to give it, ride a bike and have some fun at the same time. How can you beat that?" 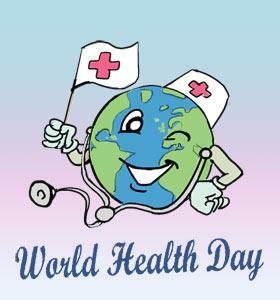 1 April 2013 - Doctor Bench was included in a fun web Blog “Feelgood Medical Benches” for World Health Day 2013. 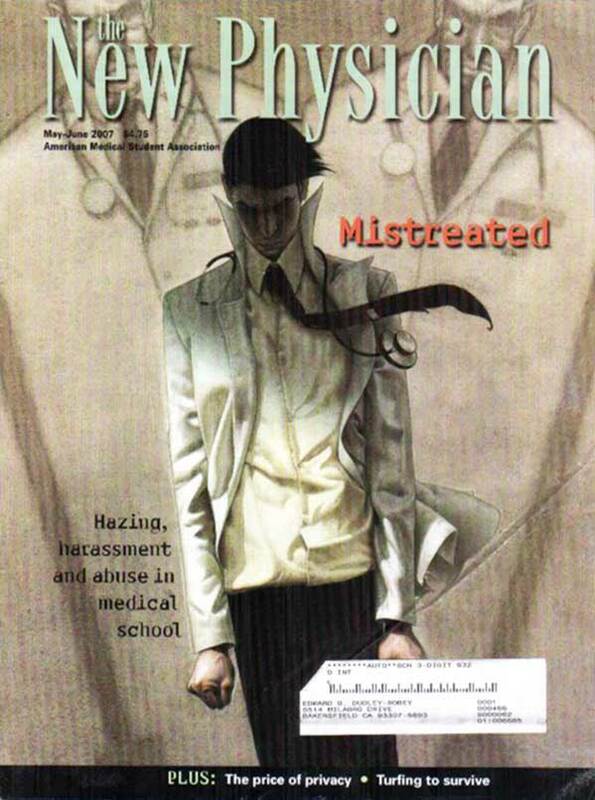 Besides Doctor Bench the light hearted blog features many of the worlds famous doctors including Dr. Charles H. Townes, who won the Nobel Prize for Physics in 1964, Dr. Issac Israel Hayes (1832-1881) a physician, politican and arctic explorer from Pennsylvania, and the fictional character Dr. Who, of course, sitting on a bench. Doctor Bench named Presidential Champion! 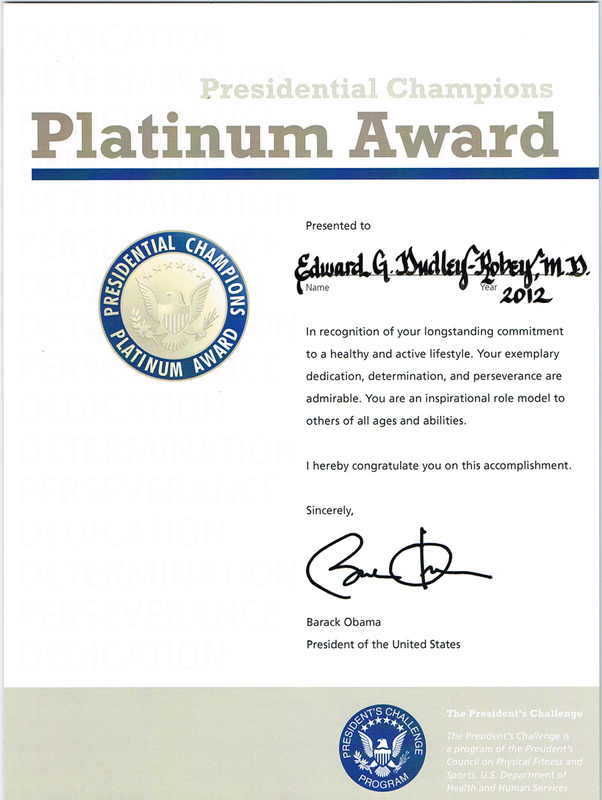 January 1st 2012 Edward G. Dudley-Robey aka Doctor Bench was named a Presidential Champion by Barack Obama, President of the United States. 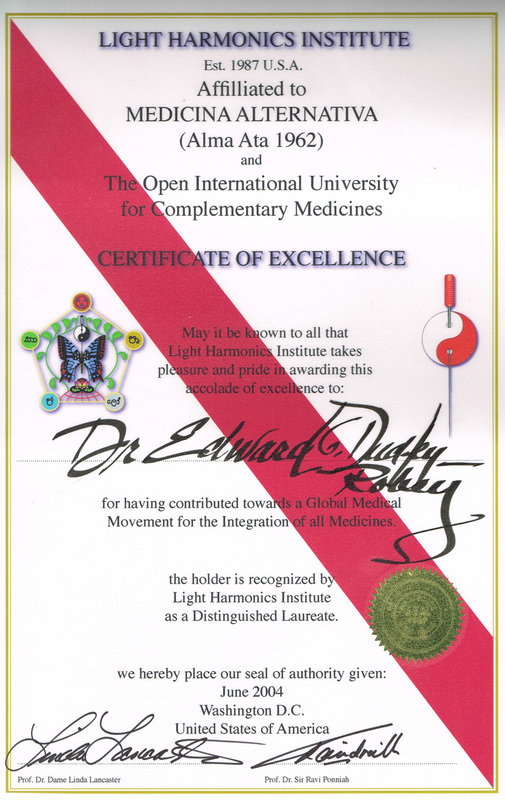 He received a Platinum Medal and a certificate which reads” In recognition of your longstanding commitment to a healthy and active lifestyle. You exemplary dedication, determination, and perseverance are admirable. You are an inspirational role model to others of all ages and abilities. I herby congratulate you on this accomplishment. 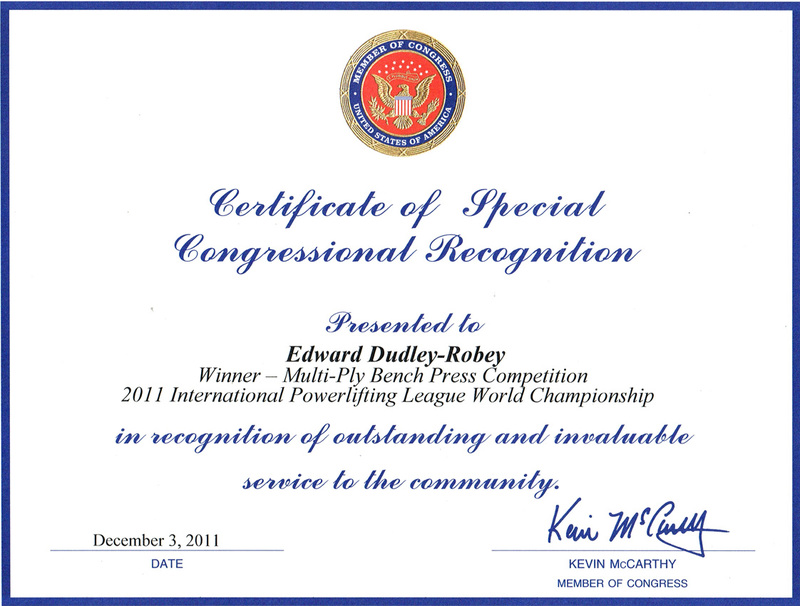 Sincerely, Barack Obama President of the United States"
December 3rd 2011 Edward G. Dudley-Robey aka Doctor Bench was awarded a Certificate of Special Congressional Recognition by Congressman Kevin McCarthy the Majority Leader in the U.S. House of Representatives for his win at the 2011 IPL World Championship! 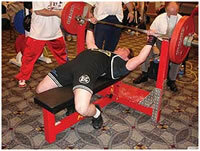 Edward "Doctor Bench" Dudley-Robey, won the International Powerlifting League (IPL) world championship in the multi-ply bench press competition for the 181lb / 82.5kg division. 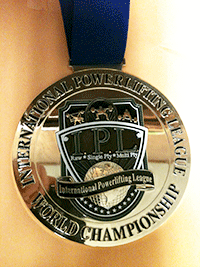 Held at the Golden Nugget in Las Vegas, Nevada the IPL world championships included competitors ranging from Canada to Nigeria. Edward's started the day with a good opening lift of 424.2lbs / 192.5kg but missed two world record attempts at 525lbs / 238.6kg. 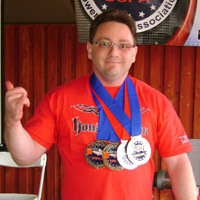 The now two-time world champion, as amassed in impressive résumé, not only winning two world championships in two different weight classes (165, 181lbs), but is also a three-time California state champion, a five-time member of Team USA, and a 25 time record holder in the bench press with state, national and international records to his credit. 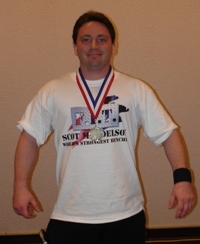 This last march he became the first person in United States Powerlifting Association (USPA) to hold records in the Raw, Single-Ply and Multi-Ply Divisions all at the same time. 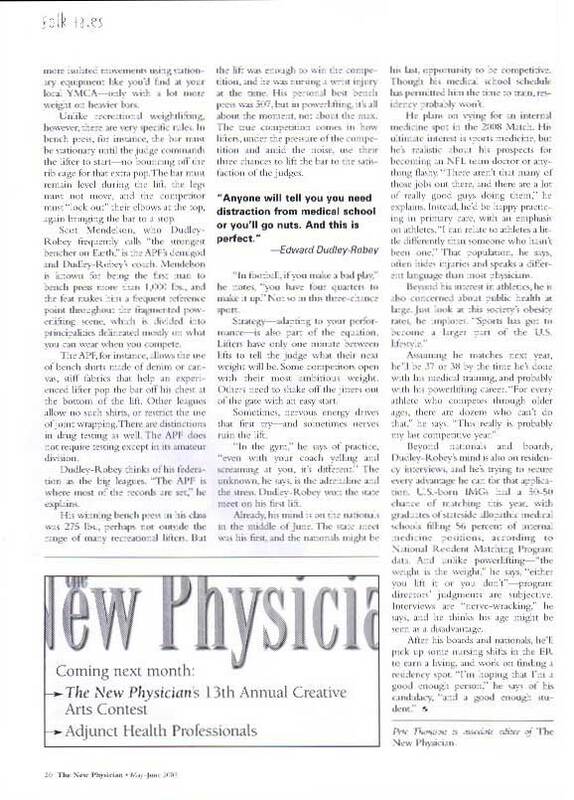 Here is a clip from the local News Paper on his recent win. Edward "Doctor Bench" Dudley-Robey, has become a charity spokesperson for US War Dogs. 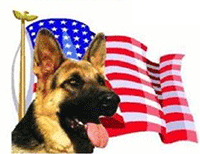 The United States War Dogs Association, Inc. is a nonprofit organization of Former and Current US Military Dog Handlers and supporting members committed to promoting the long history of the Military Service Dogs, establishing permanent War Dog Memorials, and educating the public about the invaluable service of these canines to our country. Edward "Doctor Bench" Dudley-Robey, a 181-pounder from Bakersfield, became the first person in United States Powerlifting Association (USPA) to hold records in the multi-ply, single-ply and raw divisions for the bench press all at the same time Saturday during the 2011 California State Multi-ply Bench Press Championship at Bakersfield Strength and Health. "Ply" refers to a protective garment worn by competitors during lifts, while "raw" refers to lifters wearing a T-shirt or other non-ply garment. Dudley-Robey first set the single-ply records at the 2011 USPA Pro Bench Press contest inside the Fit Expo at the Los Angeles convention center in January. In that event he set the American and California state records for both the Open and Sub-Master divisions. On Saturday, he opened up in the first flight by setting and upping the California state Sub-Master raw record. He then moved onto the second flight and proceeded to set & break the American and California state records for both the Open & Sub-Master divisions for the Multi-ply Division. This was the third California state championship for Dudley-Robey, who on the day set five records and won four medals. Doctor Bench is on 97.7 FM's Morning Show with Chris Squires! 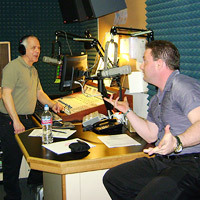 Here is Doctor Bench on Bakersfield's own 97.7 FM's morning show with Chris Squires! 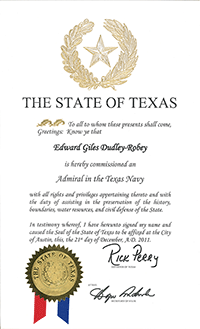 Edward " Doctor Bench" Dudley-Robey received his commission as an Admiral from Governor Dave Heineman of Nebraska on September 15th, 2010. It is the highest honor awarded by the State of Nebraska. In a statement he said "I am honored to be joining the ranks of President Franklin D. Roosevelt, Queen Elizabeth II, and many others". 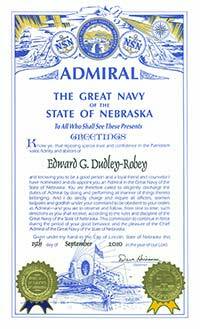 The Great Navy of the State of Nebraska was created in 1931. The Lieutenant Governor of Nebraska at that time, Theodore W. Metcalf, was serving as Acting Governor of Nebraska while Governor Charles W. Bryan was outside the state. At the urging of some of his friends, he appointed "20 to 25 prominent Nebraskans" as Nebraska admirals. Commissions in the Nebraska Navy have always been given to prominent citizens both inside and outside of Nebraska. Admiral is the rank, or part of the name of the ranks, of the highest naval officers. It is usually considered a full admiral (equivalent to full general) and above Vice Admiral and below Admiral of the Fleet/Fleet Admiral. It is usually abbreviated to "Adm" or "ADM". Where relevant, Admiral has a NATO code of OF-9, and is a 4 star rank. 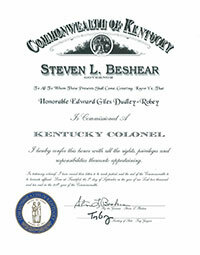 Edward " Doctor Bench" Dudley-Robey received his commission as a Kentucky Colonel from Governor Steven Beshear of Kentucky on September 7th, 2010. It is the highest honor awarded by the Commonwealth of Kentucky. In a statement he said " I am honored to be joining the ranks of President Lyndon Johnson, English Prime Minister Winston Churchill and many others". The title "Kentucky colonel" has been around since 1813, but was in informal use before that to refer to people with honored reputations, often related to military service in the American Revolution. It was often associated with landowners respected in their communities. When the Kentucky Militia was deactivated following the War of 1812, Governor Isaac Shelbycommissioned Charles S. Todd, one of his officers in the campaign, as an aide-de-camp on the Governor's Staff with the rank and grade of Colonel. Early Colonels served military roles in the state. In the latter part of the 1800s, the position took on a more ceremonial function. Colonels in uniform attended functions at the Governor's mansion and stood as symbolic guards at state events. By the late 1800s, the title had become more of an honorary one. The commission and letters patent are granted by the Governor and Secretary of State bestowing the title of Kentucky Colonel. Since commissioned Kentucky Colonels are considered members of the Governor's Staff as his honorary aides-de-camp, all are entitled to the style of "Honorable" as indicated on their commission certificates. Iron Radio interviews Doctor Bench! Doctor Bench becomes a spokesperson for Save a Dog! Edward " Doctor Bench" Dudley-Robey has been named a spokesperson for Dogtime's Save a Dog program which helps rescue shelter dogs! His pit-bull Moses is featured on the t-shirt. 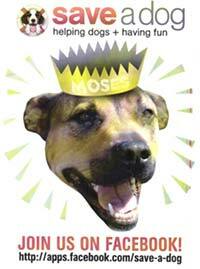 Here is a copy of the picture on the t-shirt and see his Save a Dog video in the gallery. Critical Bench interviews Doctor Bench! 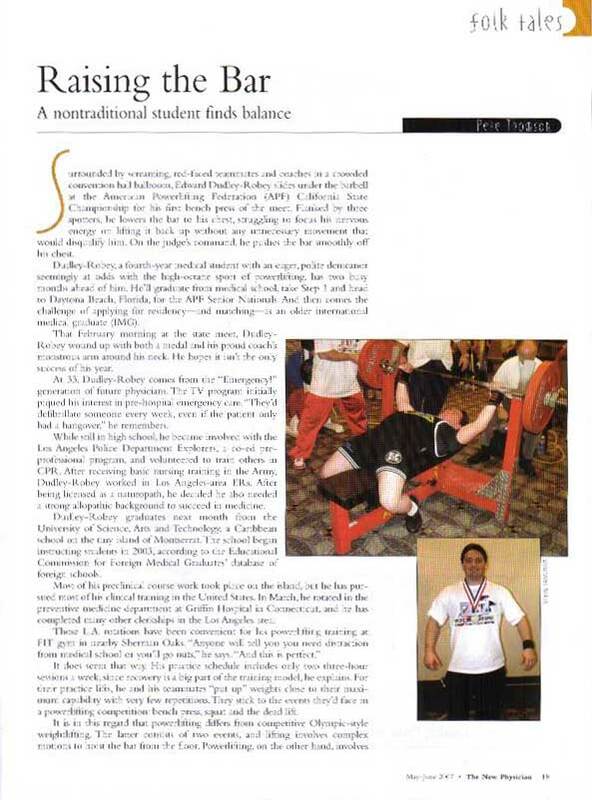 Dudley-Robey is featured in the June 2009 issue of Power Lifting USA! Please see videos of the photo shoot in the Gallery section! 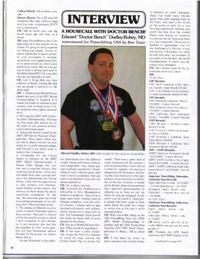 Powerlifting USA magazine, in its latest Top 100 Powerlifters rankings, named Doctor Bench as one of the Top 100 Powerlifters in the 165lb weight class! 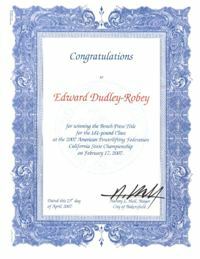 Sunday, March 1st at the UPA Super Qualifer at Team Super Training in Sacramento, California, Edward "Doctor Bench" Dudley-Robey won the 165lb class with a bench of 425. His lift set a new UPA National submaster record and set new California state records in the open and submaster division. This marks the third meet in a row where he has set an open or submaster record in 3 diffrent federations (AAFPF, GPC, UPA). The meet brought together alot of top flight talent including Steve Wong (right) and Chad Aichs. 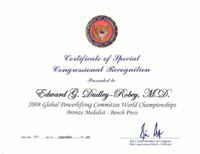 Edward G. Dudley-Robey recieved a Certificate of Special Congressional Recognition from the United States Congress for winning the bronze medal for the United States at the 2008 Global Powerlifting Commitee, World Championships in Birmingham, England in the 75kg open class! Edward lifted 407 lb at 165 in a single ply Kitana. 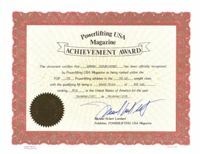 This lift set 4 records including the GPC North American (USA, Canada, Mexico) Open and Submaster records as well as the new USPF Division 2 (GPC USA) Open and Submaster records. 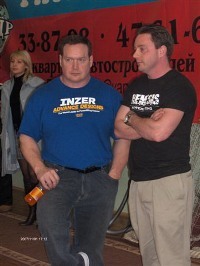 He also placed first also among the submaster class but the division was not recorded. Dudley-Robey was the only American to compete for the United States in the Open Division. 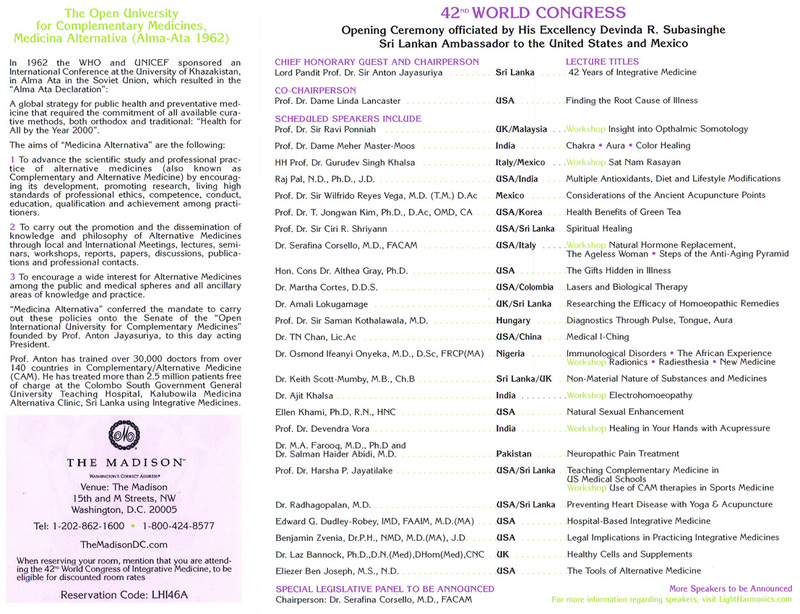 Doctor Bench was selected as a representative of the United States of America to the 42nd World Congress of Integrative Medicine June 4th 5th and 6th 2004 in Washington DC. 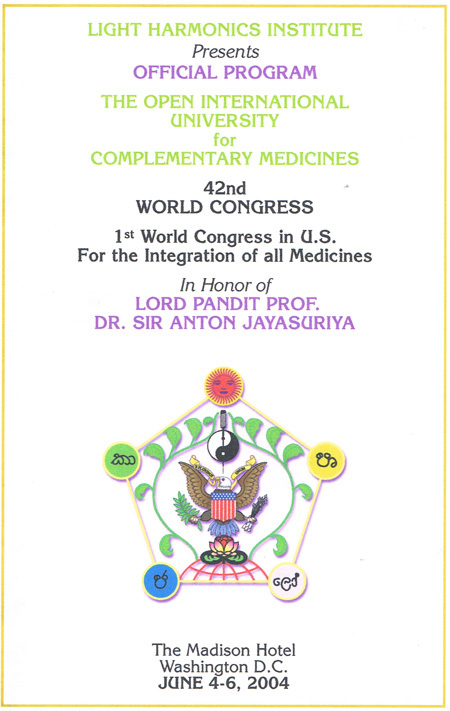 A featured lecturer he spoke on Hospital-based Integrative Medicine and then later participated as a panel speaker on Legal Implications of Practicing Integrative Medicines.